I'm Austin from SW MO. i do not (unfortunately) drive anything JDM. 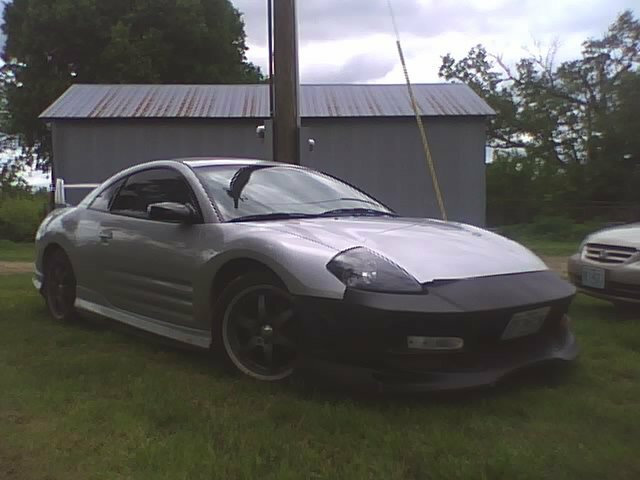 my 2001 Eclipse was made for the US market, and never offered in Japan, which is a bummer as i wanted to make it RHD. oh well. I am a car enthusiast who can appreciate the amount of work put into a car even if i dont like the end result. i do appreciate comments and constructive criticism, just please dont tell me that its not worth the time or 'i would never do that'. i had the problem on a Missouri Mitsubishi forum over an idea that i had and want to undertake. but i digress. Hello and welcome, I am fairly positive that you will be accepted here. How many of us are really JDM anyway, my car is not RHD and was made in Canada so no worries on sporting an Eclipse, it's a good car and has potential for great things just like any other Japanese ride. Welcome and same as Dminted said even though this is a "JDM" forum does not mean we should become those douchery elitists who stick thier nose up on anything that is not pure lol. Show us some pics and let us know your ideas. use the button directly above the box you type your reply in that says host image then upload the one you want have to do them individually and it takes a min but looks good. Ok, do i have to like, create an account? or can i just upload them straight form my computer? no it just uploads directly and the pics are hosted somewhere automatically. Then i think i'm doing something wrong. i keep getting a 'servimg.com" thing pop up. Thanks. I'm not really loving the wheels though. I bought them for a 98 Malibu in late 2007 when i got home from training for the Army. I want a set of BMW E46 M3 wheels, but I'd have to change the hubs to get them to fit. I think a set of Enkei Arashi or Shoguns would look good for the time being.